100% Stoneground Unbleached White Flour, Light Soft Brown Sugar, 70% Pure Dark Chocolate, Butter, Eggs, Baking Powder, Vanilla Essence. It’s really good to know what’s in your brownie. They had a very smooth texture, sweet and chocolatey. The top layer was dry rather than caramelized but they were very delicious. The Bakery does a whole range of bread (which we may go and try soon) and is expanding its horizons and appearing at more markets round London, so you can catch them in Queens Park, Marylebone, Oval, Clapham Common, Brixton and Broadgate as well as the Herne Hill market on Sundays. There is also news of them adding Bloomsbury to the list on Thursdays. That’s right in the middle of the UCL campus and one of the places I visit at lunchtimes if I’m up there on a Thursday. It will be hard to resist the temptation to get a brownie. The bakery also get involved in community projects and are supporting the mural painting project at Brixton Windmill (a local landmark for us). 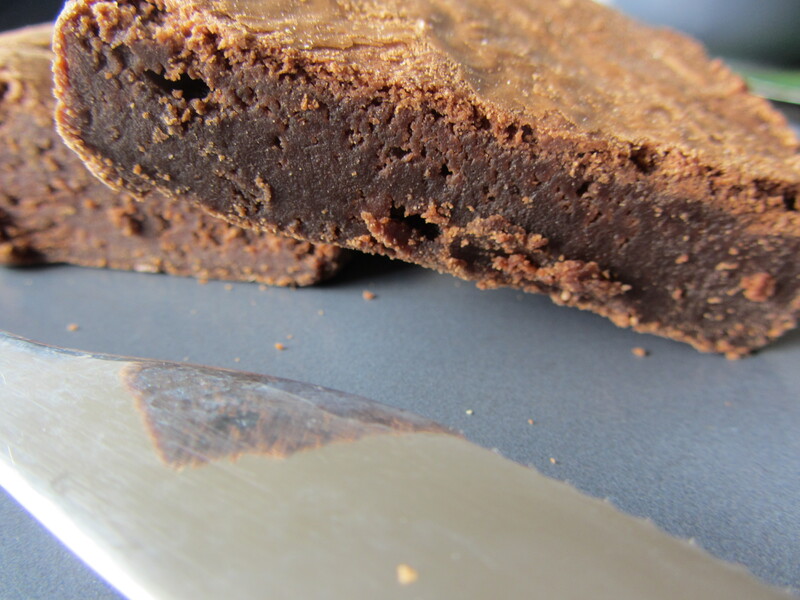 Interesting to note that the brownie picture on the website looks nothing like the amateur (real life) photo I took, above – looks like I’ll need to brush up on my photography skills!